1. 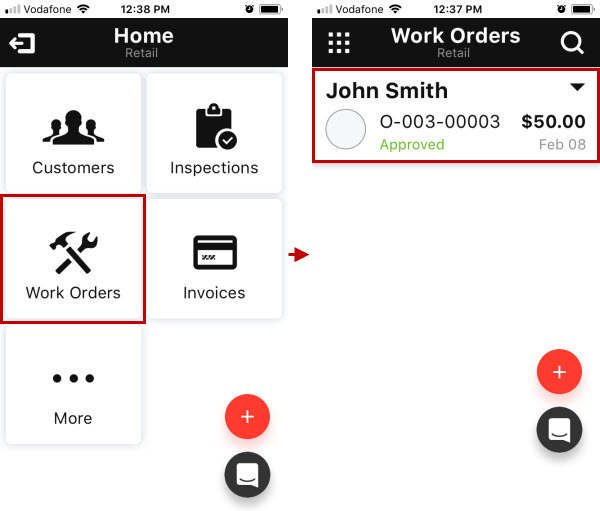 On the Home screen, tap Work Orders, and then on the Work Orders screen, tap the appropriate work order. 2. 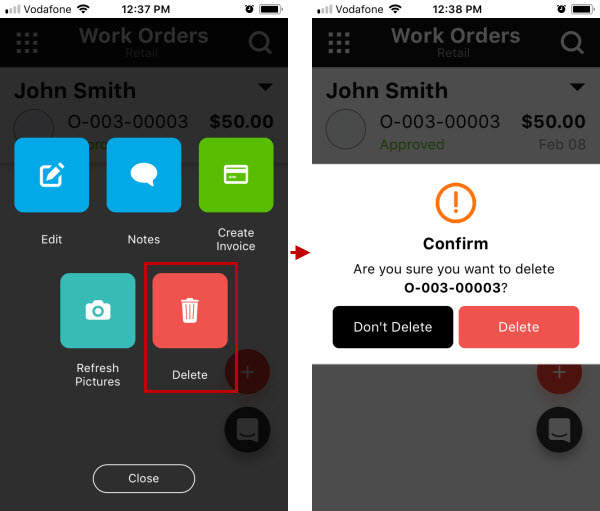 Tap Delete, and then in the confirmation message, tap Delete.